Flexible options for delivering our membership gifts and benefits to your base. Having your members, employees and clients get the most out of your team of live branded personal assistants largely depends on how much they know about the new benefit you are extending to them and making sure that they understand all the ways they can easily access the service. We provide a wide array of options to inform your target audience about all the great things your personal assistants can do for them and easy ways for them to activate their account and several different methods of making requests. Properly informing your target audience about their personal assistance service makes a tremendous difference in their perceived value of the benefit. Membership VIP offers a variety of delivery mechanisms to announce how to access their team of personal assistants and help them understand how they can use the benefit in their everyday lives. Printed Materials. Our creative department can create custom collateral or work alongside your marketing team to create the perfect campaign. 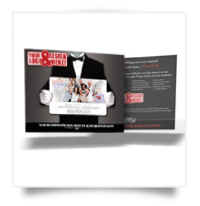 Among our most popular printed materials are full color, double sided plastic credit-card sized cards. The cards can be elegantly placed in either a die cut customized carrier (as shown) or attached to a folded greeting card. The plastic card, the carrier and the greeting card can all contain a list of recommended uses that best matches the demographics of your target audience. We can deliver the message on practically any material along with custom shapes or any other creative ideas that you may have. Printed materials can either be distributed by your organization to your target audience or we can provide fulfillment services to mail of your collateral. Virtual Invitations. 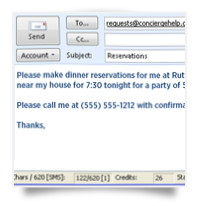 If your organization does not regularly interact face to face with its target audience, we can either integrate the message with one of the current emails that you send or create a custom standalone e-mail that describes the benefit in greater detail. 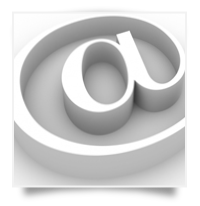 Whether your current e-mail communication with your audience consists of confirmation emails, periodic news letters or welcome/marketing emails, we can help you make the announcement of the new benefit. The e-mail can also contain a link to a customized or generic landing page that will further explain the benefit and help them activate their account. Database Integration. We can pre-register or auto-activate your target audience with access to their personal assistant benefit using your database. Our technology team can work with your database administrators to build an easy solution that may include an API that will automatically enroll active users and remove inactive users from the benefit. The program can be further enhanced by sending your audience to a customized or generic landing page that will ask them to provide a unique identifier such as a membership or confirmation number that will allow them to complete the registration process. Despite the technical aspects of integration, the process is rather easy and can be set up and tested within a few days. Once your target audience has been informed about the benefit, the next step is the associate a phone number with their account so they will be personally recognized by your team of personal assistants with every call. We offer a variety of activation methods that can be used to fit the preferences of your target recipients. Phone Call. Since the personal assistants are most often interacted with over the phone, the simplest way to activate an account is by calling a toll free number that will prompt the caller to enter in an account number and register a cell phone to the account. Once registered, the next time the caller calls the same phone number, they will be recognized by the system and immediately routed to a live personal assistant that will greet them personally and deliver your customized greeting. Online Activation. You can direct your audience to a generic landing page such as VIPactivate.com or we can custom design and build your organization a branded landing page (for an example, visit NYLconcierge.com). Both the generic and customized versions will have easy to understand activation instructions along with ways that your audience can utilize the personal assistance service. All sites will also give visitors the ability to submit requests to their team of personal assistants. Customized sites can include additional functionality such as information about your organization, sample call recordings, links back to your company’s website, and even a “Contact Us” page that forwards to your organization. Text Messaging. Since text messaging has become one of the most popular forms of communications, we give your target audience the ability to simply text message an account or membership number to a short code. Our system will validate the account number and send back a welcome text with instructions on how to access their team of personal assistants. 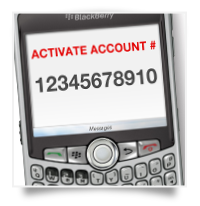 Since the phone number that is texting in the account number is captured by our system, we can automatically activate that phone number with access to the service. The interaction takes only seconds and is perfect for some of your target audience who prefer text messaging over any other type of quick communication. Membership VIP is always improving and offering new ways for your audience to submit requests to the service. Communication from callers to the personal assistants and from the personal assistants back to callers are branded in your organization’s name. Phone Call. 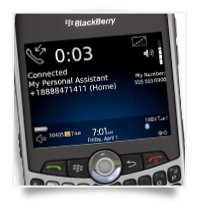 Recipients simply dial a toll free number and are instantly greeted by name and are delivered your customized greeting. Once their phone number and name is registered to the account, no further information is needed from the caller. Your target audience can save the toll free number in their phone and that’s all they will ever need to reach their team of personal assistants 24 hours a day. We have several easy-to-remember toll free numbers or we can acquire a custom toll free number to be used only by your organization. Mobile App. Given the popularity of mobile applications, we have developed a white label mobile app appropriately named “VIP Assist” for the iPhone, BlackBerry and Android powered devices (Windows Phone 7 coming soon). By simply searching the marketplace/store of their respective mobile device, users can download the app in a matter of seconds. The app provides a one-touch call solution as well as functionality for the user to electronically submit their request directly through the app. The most notable feature of the app is that it allows the user to send their exact GPS coordinates with every request. Sending GPS coordinates is perfect for users making location based requests such as driving directions or searching for nearby businesses. Having our personal assistants able to locate callers within seconds adds a level of security that will gives audience peace of mind. To learn more about the VIP Assist application, visit getvipassist.com. We can also brand the entire range of mobile apps to your organization along with your logo, color scheme, etc. Online Portals. We have generic portals that allow users to submit their requests online. The request page will also allow them to choose the manner in which they want their information sent back to them. 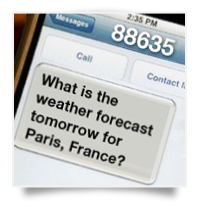 Options include a return phone call, a text message or an e-mail. Submitting requests online gives users the flexibility of carefully crafting their requests and including very specific details. 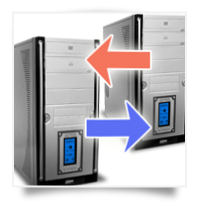 As always, portals can be completely customized to your organization’s requirements. Text Messaging. Membership VIP has a dedicated short code that is used strictly for the receipt and delivery of user requests. By simply sending a request from any registered phone number to the short code 88635, our team of personal assistants will instantly begin working on the requested task. The response can be delivered back by text or by any other method specified. E-mail Requests. We will provide your target audience with an e-mail address (such as requests@conciergehelp.com) that requests can be sent to. 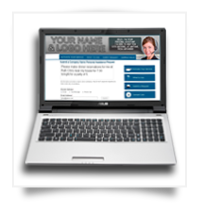 If Membership VIP builds your organization a branded portal, we will then provide a custom e-mail address for requests to be addressed to. If you have a customized portal, all communications sent from your team of personal assistants to your audience will be sent from your branded e-mail address. Our creative department can also build your organization a custom e-mail header that will further incorporate your brand identity.